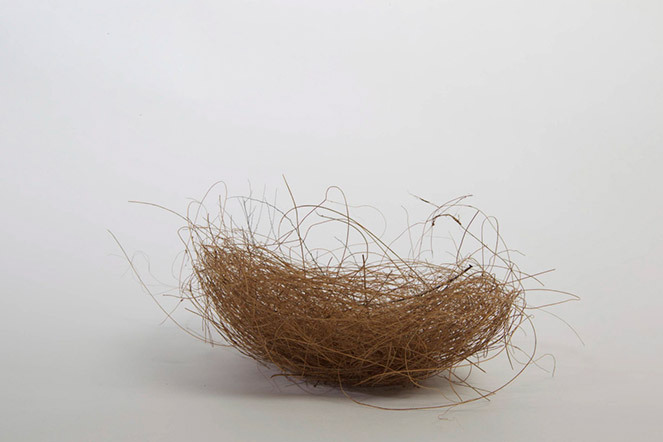 From depressions in the ground to intricate, enormous constructions, the variety of bird nests is astounding. 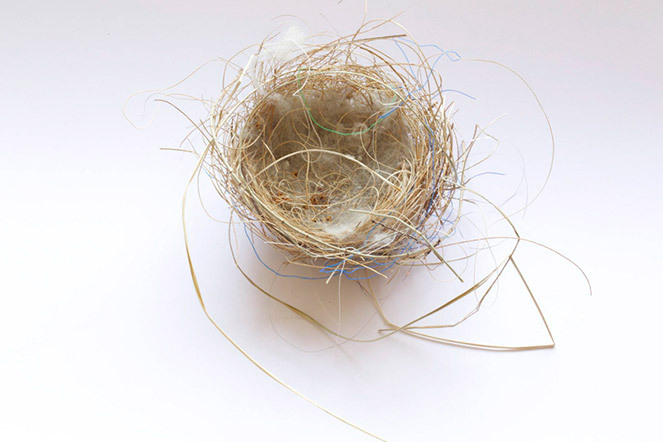 In The Poetics of Space, Gaston Bachelard wrote an evocative, lyrical chapter of his ruminations on nests. "If we go deeper into daydreams of nest, we soon encounter a sort of paradox of sensibility. 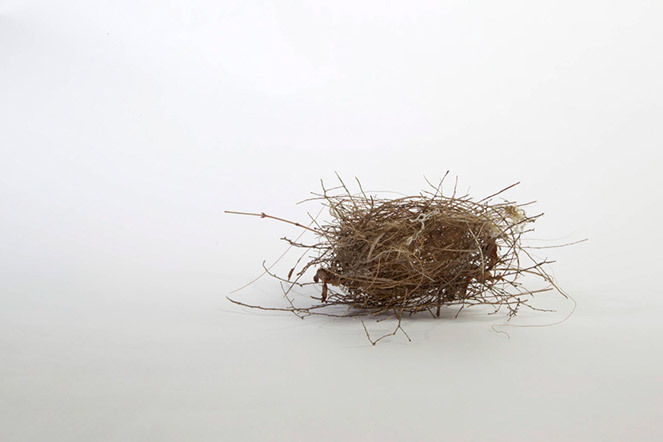 A nest- and this we understand right away- is a precarious thing, and yet it sets us to daydreaming of security. Why does this obvious precariousness not arrest daydreams of this kind? The answer to this paradox is simple: when we dream, we are phenomenologists without realizing it. In a sort of naïve way, we relive the instinct of the bird, taking pleasure in accentuating the mimetic features of the green nest in green leaves…The nest is a lyrical bouquet of leaves. It participates in the peace of the vegetable world…And so when we examine a nest, we place ourselves at the origin of confidence in the world, we receive a beginning of confidence, an urge toward cosmic confidence. Would a bird build its next if it did not have its instinct for confidence in the world?..." Here Boris Pasternak speaks of "the instinct with the help of which, like the swallow, we construct the world- an enormous nest, an agglomerate of earth and sky, of death and life, and of two sorts of time, one we can dispose of and one that is lacking."